With all the mountain views, endless activities, places to visit, and enticing restaurant and night life – how do you choose? 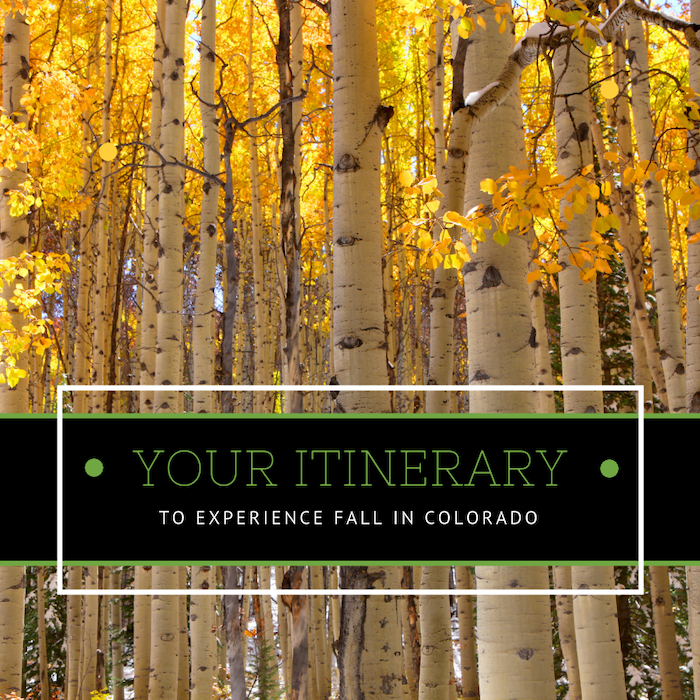 Well, we’ve got the perfect itinerary for your fall getaway in the Rockies. These spots are hand-picked by locals and are sure to entice you to come back for more. Boreas Pass Road has been deemed by many locals and tourists as the number one scenic fall drive in Summit County. Starting at the southern end of Breckenridge Main Street, you’ll drive about ten minutes up Boreas Pass Road where you will enjoy endless panoramic views of Breckenridge Mountain, Blue River and Goose Pasture Tarn, Quandary Peak, Mount Lincoln, and of course, the much-sought-after changing Aspens. Psst: our Pine View Haus property is minutes away from the Boreas Pass Trailhead, where you’d enjoy stunning views of Breckenridge and Baldy Mountain. In fact, if you’d like to enjoy fall colors with us between September 13th November 30th (book by October 15 th), you can receive 30% off your stay (including private homes). This offer even includes Thanksgiving! Silverheels – Frisco Main St.
Uptown on Main – Frisco Main St. Hop on the I-70 going westbound. On the way to Leadville, you’ll want to stop and take a selfie with the amphitheater mountain views at Clinton Gulch Reservoir and Mayflower Gulch trailheads (between Leadville and Copper). You continue on to Highway 24 towards Minturn and Eagle County, which sits between Vail and Beaver Creek Resorts. Highway 24 runs west-east through Minturn, and eventually leads to the town of Red Cliff. Pick up a Melanzana in Leadville! You head west on the I-70 and The Melanzana brand is near and dear to many locals’ hearts and keeps them comfortable and prepared for any endeavor in the mountains. 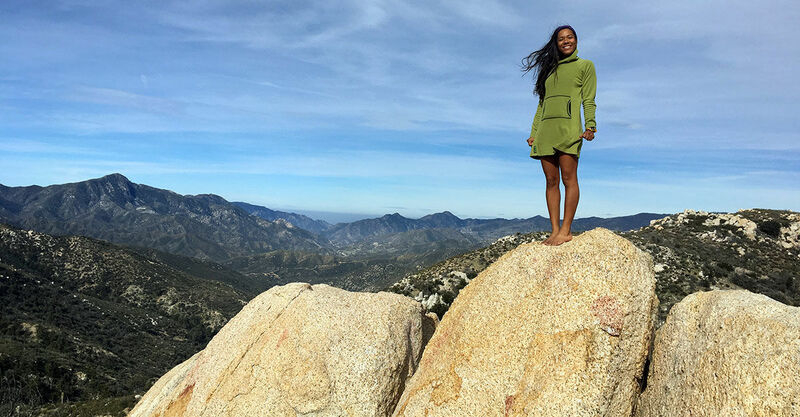 Melanzana can only be found in Leadville, Colorado, it is a small but mighty brand who manufacture and sell outdoor clothing under one roof, using only U.S.-made parts and fabric. As you drive about an hour outside of Aspen going eastbound on the I-70, you’ll find a little red sandstone, geothermic town called Glenwood Springs. 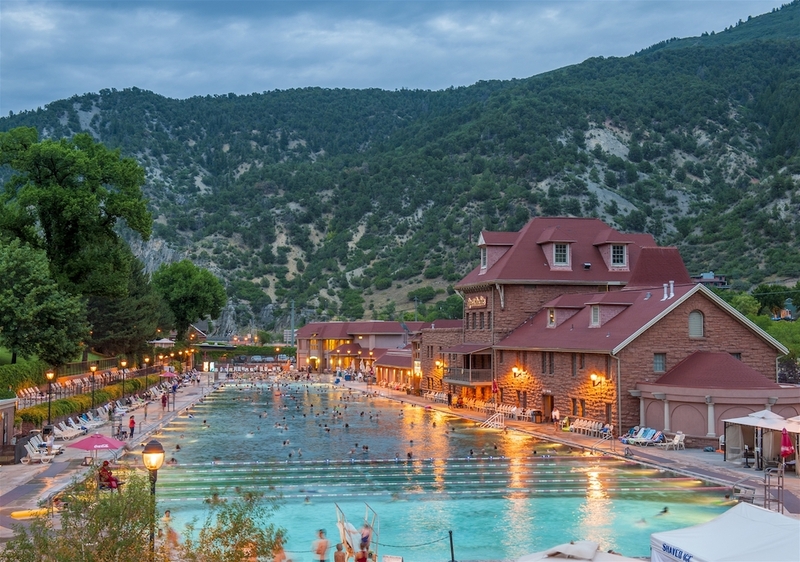 The ever popular Glenwood Hot Springs Resort is not only world-famous, but it is the world’s largest hot springs pool. The pool is said to be the length of a football field, and at a comfortable 104 degrees, you’ll find these healing, mineral waters hard to get out of. These waters are sure to soothe those muscles after a day of hiking.